In a .NET environment, Ultralite integrates easily into C# code or VB.NET, as well as applications using .NET Compact Framework. Taking into account Ultralite from the first phases of development, there’s no need to plan a specific installation for the database: a few files just need to be copied into a folder, which will then be deployed with the other application files. With MobiLink technology, Ultralite can easily synchronize with a third-party database server: SQL Anywhere, Oracle, Microsoft SQL Server, IBM DB2, MySQL, SAP Adaptive Server Enterprise as well as databases compatible with ODBC such as SAP IQ. A possible alternative to Ultralite is the development of a system to manage proprietary files, to manage data on mobile devices. Low (1 license to buy). No other effort needed, as Ultralite is a ready to use tool. High. Requires manual, recurring and costly tasks. Low - Ultralite automates maintenance and administrative operations. Requires third party technology and tools. Standard: Encrypts data in 128 bits and encodes communication with the server. The High availability features of SQL Anywhere and Ultralite are proven and benefit from more than 20 years of expertise. Requires the development of a specific logic. Support of ADO.NET and ODBC simplifies integration with other programs, in particular with data drive applications. Manual synchronizations, or extra developments. Ultralite can synchronize dozens of thousands of clients with the same server, thanks to excellent conflict management. The synchronization is configurable and adapts to most database server, Oracle or others. SQL Anywhere is a relational database providing multiple advanced features such as: integrated referentials, stored procedures, proxy tables, row-level security, high availability, system event and user management, in-memory mode, intra-query parallelism, database mirroring, integration with LDAP directories, strong encryption, support of multiple interfaces, etc. SQL Anywhere easily installs in 15 minutes, without impacting other applications and databases. A silent installation is possible when SQL Anywhere is embedded in the application. The genetic code of SQL Anywhere is issued from high performance products developed in the 90s by the Canadian company Watcom, such as the Watcom C++ compiler. From the first versions of SQL Anywhere, the code optimisation translated into very high performances, associated to very low RAM and hard-drive consumption. This low usage of material resources allows for the use of existing machinery with limited performances and strongly reduces material investment needs when the system is scaled. Another advantage of low consumption of resources is the capacity for SQL AAnywhere to work with all sorts of mobile handheld devices which facilitate the distribution of information on local databases and guarantees access to data anywhere and anytime, no matter the quality or the nature of the network’s environment. On the other side of the needs spectrum, there are high performance systems. SQL Anywhere represents an excellent solution with low costs for medium and large businesses. SQL Anywhere easily allows for moving from one OS to another, or deploying one base on multiple OS - as it’s as simple as copying database files! This allows, for example, to develop a Windows application, then to deploy it in a different production environment, or to scale later to another OS. It’s also an excellent solution for software vendors that need to install their solution in various client environments. More information on supported platforms can be found on this page. SQL Anywhere automates the majority of administrative tasks to minise intervention needs from the administrator, while guaranteeing stable performances. The administration efforts and operation costs are heavily lowered. It’s particularly important for SMEs, as well as for remote site administration or distributed systems for which the administrator is not always available but that have to guarantee the proper full-time functioning of the system. Of course, performance tuning remains available at all moments. Automatic Query Optimizer Selects automatically a productive execution plan for SQL queries in an efficient amount of time, and finds the best compromise between optimization and execution time. Automatic DB Space management When the size of the data to be stored in the database increases, the size of the database is automatically adjusted. SQL Anywhere will free up space and reuse it whenever possible. Automatic start / stop The database will automatically start & stop whenever needed. As a result, applications and users do not have to care if the database is already running or not. Task scheduling and event handling Administrators can schedule tasks that will be performed automatically. Events will also be handled automatically. Automatic recovery In case of unexpected interruption, for instance after a power issue, the system will automatically recover at the next database startup. Dynamic cache sizing Performances will be automatically optimized by adjusting the size of the cache, based on previous usage statistics. 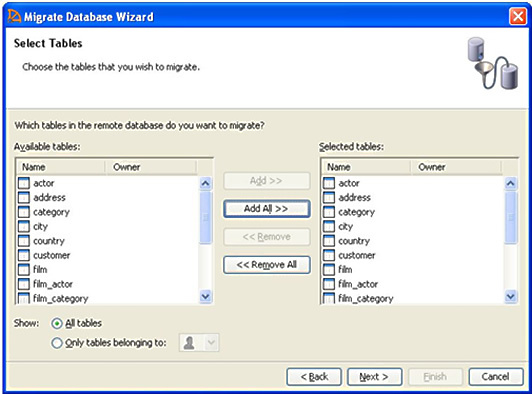 Table and Index defragmentation Table and Index defragmentation is automatically lowered while the database is in production. With the SQL Anywhere console, explore the database structure and its main objects: stored procedures, functions, events. It shows the execution map of SQL requests, the number of calls and the execution time of triggers, and the execution time of each line of code in a procedure; this facilitates their tuning and performance optimisation. With SQL Anywhere easily evolve the system architecture, to go, for example, from a standalone application to a client/server application, then to a distributed system composed of multiple synchronised databases between them. These evolutions don’t necessitate any codification of the database or applications that they use, which simplifies the scalability of enterprise applications as well as the deployment of packaged sales applications that need to automatically adapt to various client environments. To prevent data leakage or malicious access, SQL Anywhere includes a series of security features. To optimise resources and response time, encryption can be activated at file/table/column level. In Windows, you can call the setup of SQL Anywhere (InstallShield) from your application’s setup. In this case, SQL Anywhere installs at the same time as the application in a completely transparent way for the user, strongly simplifying deployment. SQL Anywhere is the ideal solution for sales applications where the installation is automated to lower the effort needed by end users. SQL Anywhere can act as a HTTP/HTTPS server. It also supports SOAP queries. SQL Anywhere can process extremely quickly large volumes of data, using Enterprise level features such as snapshot isolation or materialized views. SQL Anywhere also supports intra-query parallelism and 64 bit mode in Windows and Linux to optimise the use of multiple CPU. It thereby allows for scaling up to high performance systems such as parallel saves for rapid archiving of large volumes of data. It’s also optimised for OLAP calls, thereby facilitating viewing, reporting and analysis of voluminous databases. SQL Anywhere therefore supports thousands of users consulting multiple Terabyte databases, containing billions of records. You can also consult this page, the results obtained by the TPC-C benchmark: where SQL Anywhere is classed first in terms of performance/price. 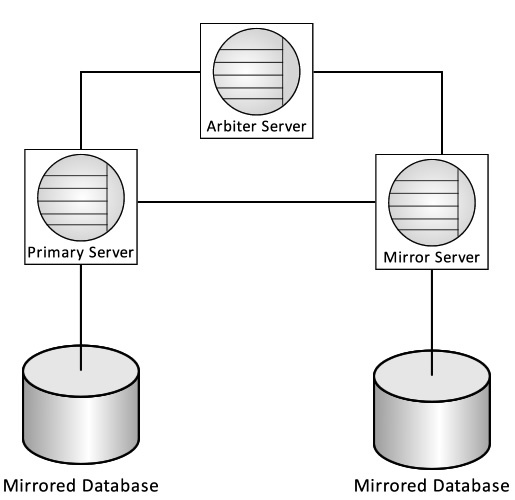 SQL Anywhere has mirroring features and clustering to guarantee database high availability. More information concerning SQL Anywhere’s high availability can be found here. SQL Anywhere supports Read-only scale-out configurations, discharging the production database of reporting and consulting operations (read-only). SQL Anywhere provides a tool to simplify the migration from Oracle, Microsoft SQL Server, IBM DB2 or SAP Adaptive Server Enterprise, etc. SQL Anywhere includes the component Mobilink, a highly-scalable technology, session-based, that permits for synchronizing information between a company and distant systems, or between multiple databases – relational or not – in a very flexible and robust manner. Mobilink technology guarantees the integrity of transactions in case of connection loss, and proposes advanced strategies for conflict resolution during data updates. The advanced technology of Mobilink allows to synchronize a SQL Anywhere database with Oracle, Microsoft SQL Server, IBM DB2, MySQL, SAP ASE, IQ SAP, or SAP HANA, as well as numerous other databases supporting ODBC. 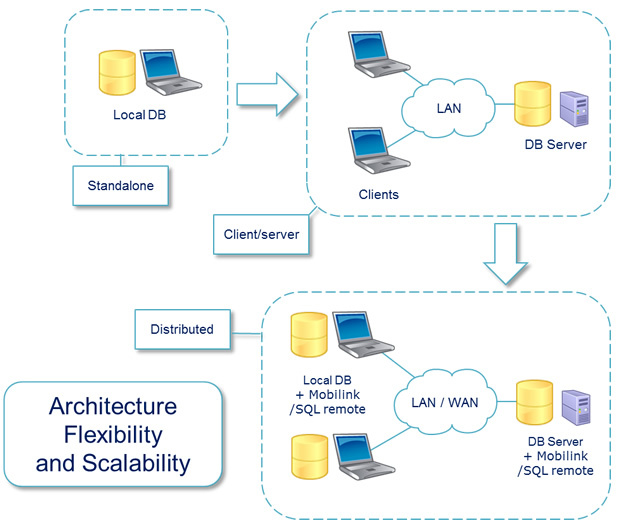 The Mobilink Synchronization Server communicates with the consolidated database via ODBC, while the Mobilink client connects to the Mobilink Synchronization Server via the internet. This configuration offers a number of possibilities to build systems using third party databases, and to optimize your existing material and software investments. Mobilink technology gives up to date access to information for mobile phone users, even if they are in the field and using intermittent connections. It's also possible to trigger the sending of updates from the server, to push important information towards all clients, such as a new list of prices or a new list of available products. Mobilink will identify updated data on each database (consolidated and distant) and will synchronize only the necessary data. This process minimizes exchanges, including bandwidth consumption as well as delays and costs of communication. When the same data is modified simultaneously in multiple databases, Mobilink detects potential conflicts and guarantees the integrity of data by applying easily configurable resolution rules. It's not always pertinent to synchronise the whole database to a distant system. It's why Mobilink lets you define data subsets, to choose which information will be sent to the distant system. This division can be vertical (certain tables, for example), horizontal (records corresponding to a certain criteria, for example) or a more complex combination. We could then optimize bandwidth usage, as well as costs and communication lengths. We will also avoid the overloading of distant systems with voluminous and useless information. Mobilink allows for the definition of synchronization priorities between multiple subsets of the database. For example, production data relative to sales or billing will be synchronized in real time, whereas reference data on countries or products will be synchronized daily or once a month. You completely control the synchronization, to assure that important data is available in time for the users, and optimize the ressources and bandwith available; this is particularly important in the case of mobile users or wireless communication. A single Mobilink synchronization server can support thousands of synchronized users. I's also possible to use multiple Mobilink servers to load balance and allow for scaling towards very large systems. 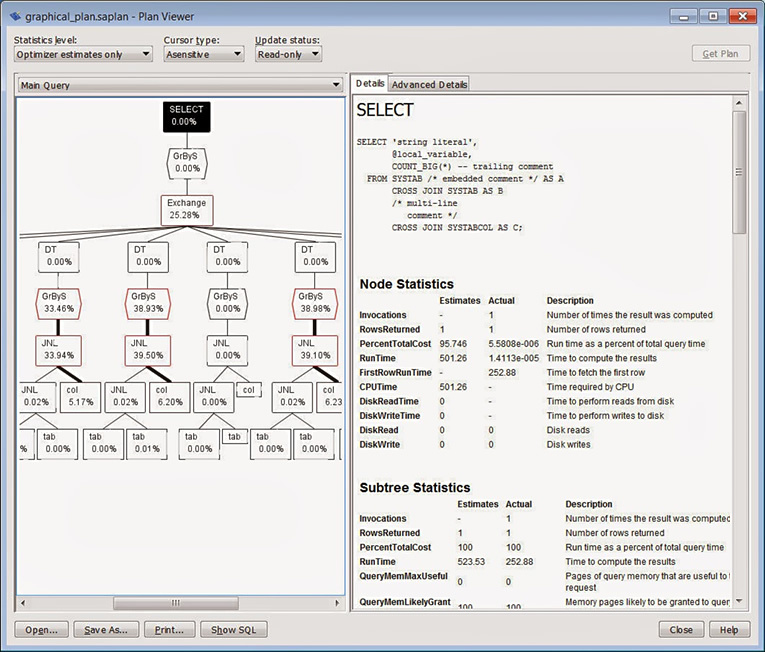 U - Option included in User License model. Options not included in Core License model but available separately as per device licenses.